Formerly known as Akmola, in 1997 the new capital (meaning, ahem, ‘The Capital’) was unveiled to eagerly awaiting Kazakhs. After an unprecedented makeover it was transformed into the 21st century metropolis it is today. Astride the Ishim River the ‘new’ town is an architectural mecca with a sprinkling of Norman Foster creations; whilst the ‘old’ town remains a warren of crumbling Soviet structures. The best places to stay in Astana evoke the aspirations of this showroom city. From the Bayterek, a 97m high structure depicting a story from traditional Kazakh folklore to the Norman Foster creations of the Khan Shatyr and the Palace of Peace and Reconciliation there is plenty to see and do in this city. Explore the city along the waters of the river that divides it for a unique tour of Astana. And if you want to sample the local cuisine, we'd recommend Astana Nury, a top class Azerbaijani restaurant overlooking the Ishim River. It serves traditional dishes with a modern twist. A favourite weekend destination are the salt lakes of Korgalzhyn State Nature Reserve - home to migrating pink flamingos in the spring and summer months: a birdwatchers dream. Further afield, Burabay National Park, also known as ‘The Pearl of Kazakhstan’ is the playing field of both Kazakh history and folklore. Gentle gradients and epic scenery makes this a superb destination for cyclists. 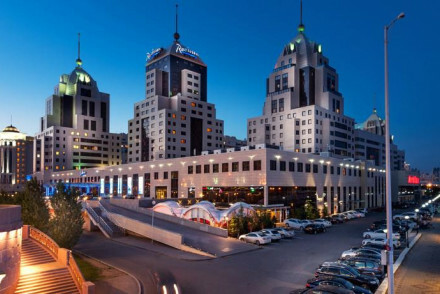 Whether your visit is for business or leisure, our pick of the best places to stay in Astana are all ideally located for making the most of this city. Book a room at the Park Inn. Here you'll find bright modern interiors - airy rooms feature splashes of primary colours, plus gym and spa. Raisson Astana offers the perfect choice for business or leisure traveller. Here you'll find great conference facilities, plus trendy restaurant an on site club and micro brewery! Similarly the Hilton Garden Inn caters to both business and tourist. It offers 24 hour dining, gym, sauna and expansive conference and meeting rooms. 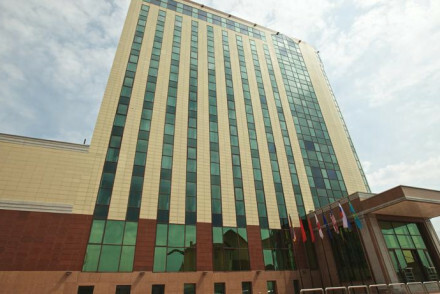 Kazzhol is a smaller hotel, which definitely has a more authentically Kazakh feel to it. Centrally located, ifs rooms are traditional in style plus there's a restaurant serving classic Uzbek cuisine. 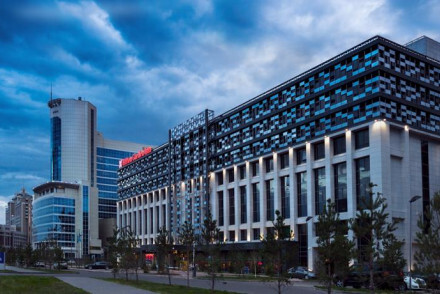 Browse through our list of the best places to stay in Astana and start to plan your stay. Or feel free to call or email a friendly guru for advice. 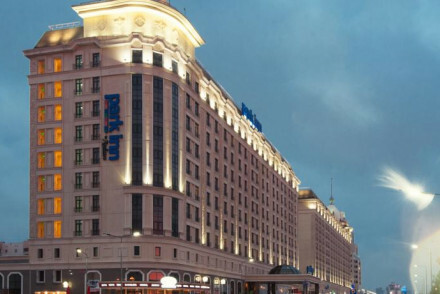 Located walking distance from Astana's main sights this hotel provides a central stay. Good sized rooms with modern fittings, enjoy views across the striking skyline. Enjoy local delicacies at Garden Grille and 24/7 snacks at Pavilion Pantry. There is a gym, sauna and excellent business facilities. Sights nearby - The Khan Shatyr Entertainment Center, designed by Norman Foster, is a must visit and within walking distance. Great walks - HIking along the Ishim River, where there is a variety of flora and fauna. Part of the Radisson group this is a reliable stay. Rooms range from contemporary chic in earthy hues to polished parquet floors and ornate silks. Barkhat Lounge is a trendy dining experience and there is even a club and micro brewery. An expansive spa, gym and pool complete the stellar facilities. Sights nearby - Just short of 100m tall the Bayterek monument, a gleaming orb on Astana's skyline, has extraordinary views. Great walks - Explore Burabai National Park and its 14 crystal clear lakes. Sailing - Avoid busy roads and opt for a river boat tour of Astana.